"- dress your Sims in a stylish ensemble showcasing the vibrant colors and bold accessories that are the latest trends this season! - design your own H&M retail environment, or use new store-themed items to build an intimate H&M boutique for more sophisticated citizens" (source: Amazon). 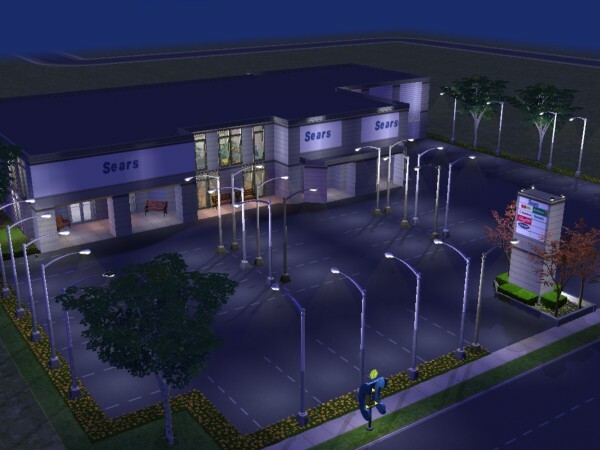 The Sims 2 is a sequel to the best selling The Sims, a life simulation game where you control an animated character's interaction with virtual environment. The online version of the game, The Sims Online, is similar to Second Life. 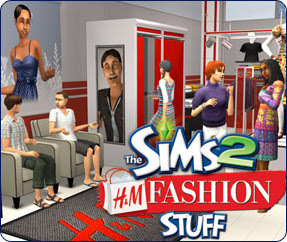 - The Sims 2 Fashion Runway design contest site; a very cool idea, too. - Read about the game on EA site, and on H&M's site, too. You can get a free demo by buying H&M's stuff. - A trailer on YouTube, which really is a very cool machinima ad in Simlish for the store.